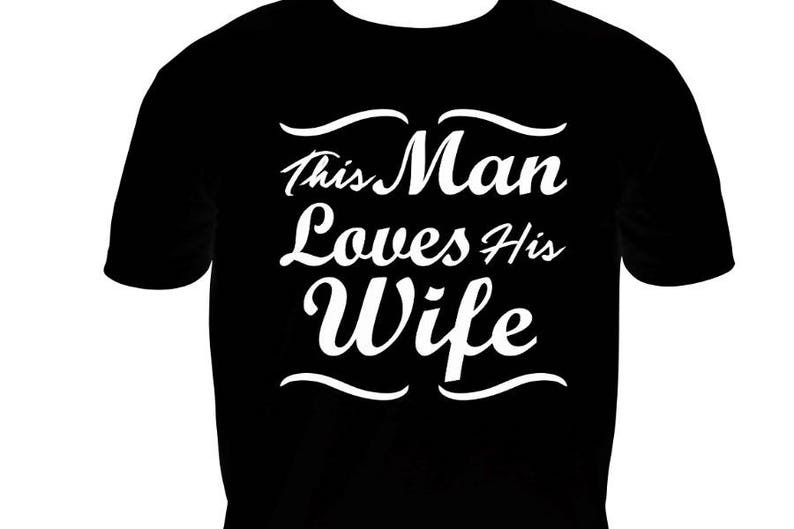 New "This Man Loves His Wife" vinyl design. Available in multiple colors for your stylish pleasure. This design is approximately 10.5" Wide x 11.5" Tall.